Whether robbing a federal bank was a part of the plan or not, you are now facing charges for bank robbery and time in federal prison. The prosecutors assigned to your case will be highly trained law professionals from the U.S. Department of Justice. It is essential that you match their level of professionalism and legal knowledge by acquiring an attorney with experience litigating federal cases. The federal crime attorneys at The Umansky Law Firm are aware of the severity of your charges and can help you prepare for the aggressive prosecution you’ll soon face. We take your case seriously and will ensure that your criminal case gets the legal attention it deserves. Our attorneys thoroughly understand the laws surrounding federal bank robberies and what evidence can be used for your eviction or your acquittal. Entrust your federal case with a law firm known for fighting relentlessly for their clients. Contact us today to discuss your legal options with an Orlando federal bank robbery lawyer. Armed Robbery: The use of a deadly weapon to inflict harm on or threaten individuals during a robbery. Unarmed Robbery: Robbery with no weapon present. Inference from Possession of Recently Stolen Property: Being in possession of property that you knew or should have known was stolen. Although states have laws in place for robbery and other theft charges, most banks and credit unions are federally insured, which is why most bank robberies are federal crimes. One can expect a lengthy federal prison sentence in addition to fines in the event of a conviction. The court can add on additional penalties depending on the type of robbery and if anyone was threatened, injured or killed as a result of the theft. Defending federal bank robbery charges is no simple feat and should only be tasked to lawyers who have proved their ability to manage federal cases. Attorney Brice Aikens with The Umansky Law Firm is the federal bank robbery attorney you want representing you in the court of law. 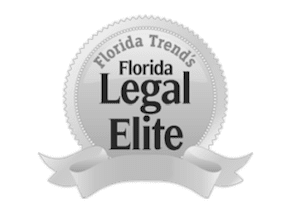 Aikens is a board-certified criminal trial lawyer with years of experience defending those facing criminal accusations in the Greater Central Florida area. Through the application of in-depth legal knowledge, he can help mitigate your criminal case. Contact us today at 407-228-3838 for a free case evaluation.